Quote: "I liked the real HELL idea...."
Certainly another option, but I really was hoping to see more ideas. 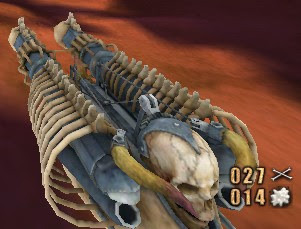 How about using standard weapons but with a rather hellish design, as seen in the Painkiller games ? Quote: "standard weapons but with a rather hellish design"
Yes! way ahead on that idea. Should have something ready to show this weekend? Quote: "was hoping to see more ideas"
a story on paper like a "storyboard"
I like your concept so far about "John", early 1900's of London, and that he has a daughter. Now what if John's daughter IS found and pulled into this hell? Quote: "Now what if John's daughter IS found and pulled into this hell?" Which hell? John's personal hell or THE hell? Something like Clark Kent and Superman. The story would go back and forth between Earth and Hell - John Carlone and Salvatore. What do you think? I think is a better story for a game and Mr Love would get his Hell. "and Mr Love would get his Hell. " Quote: " John is more like a rogue avenging angel who keeps breaking the rules"
Yes, I like that idea. Is he more angle or demon in appearance or human? Quote: "We'd have to rework the beginning..."
Quote: "Is he more angle or demon in appearance or human?" Because he breaks the rules, usually gets away with it, and wins, he and the devil are on a first name basis. What about something like boss levels where the devil gives him hell and pits him against ever stronger demons between levels? It could also be a means to provide story elements. but I'd love to help you about everything regarding shadermaps. Quote: "but could transform a bit (like maybe wings) when he does his avenging angel thing"
Quote: ", he and the devil are on a first name basis"
As Madcow2 suggested, here's a couple test weapons I have going. Very rough & quick texturing. Have more "crossbow" type weapons coming up. Quote: "It occurred to me that the character could be a skeleton and has to go collecting pieces of flesh to complete your body"
That's cool! But not sure how to work it into the story. If you ever played Blood, you had to pick up the hearts of those you slayed for health. Something like that might work. Quote: "here's a couple test weapons I have going"
Love the concept. I'm not sure I understand the bolt shooter. I like the revolving chambers, but it doesn't seem to fit with a magazine fed weapon. It would be cool if you could see the bolts in the chambers and instead of a magazine, you swap out the chamber. Does that make sense? It would work for stakes as well. As for John dying... I don't think he can. Anyway, what about the sequel? It occurred to me, as the game would pass in hell, the player would start as a cadaver that has to be arming to regain strength. 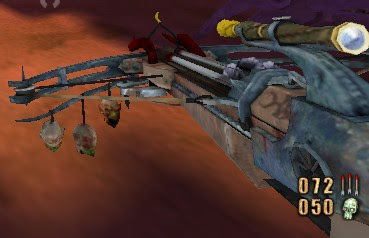 The player completes each end of its body with different human parts. @xplosys When you have time, post some pic's/links to some weapons you think the character might have & use. using some sort of variable scripting? Love that blade gun. So sweet. Use these lines in the script of the first body to disappear when you turn. Just I put the name of the entity in the ifused activator. Interesting Project Sadly I didn´t touch FPSC for years, so I would not be a big help at all. 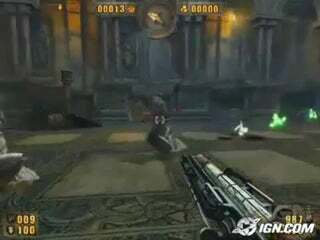 Here is the shotgun from Constantine. It has a replaceable drum. I didn't mean I wanted different weapons. I just didn't understand the magazine. @Xplosys Nice choice of a weapon. Yes, I remember that one. Do you think the drum should rotate, or just come out when reloading? I have been offline for quite sometime but you can count me in too. I am great for the gameplay and level design!! Quote: "Do you think the drum should rotate, or just come out when reloading?" How about a flame thrower (dragons breath) mounted below the barrel and fueled with vials? How's your multipurpose weapon development these days? I don't think a scope is necessary for a shotgun... not sure why they did. Perhaps a nice cross front site and circle rear? I think the texture on this one is a little much. You might want to go for a simpler mixed metal thing and some wood? Up to you. Tell me where to go anytime. Quote: "So, what do you all think??" Hey I should have some time up my sleeve to help out with modeling/texturing for this if you would like. Anything in the way of environment assets and/or weapons I should be able to handle. If this does pick up I would quite likely be able to help out with characters come December (I don't have a huge amount of time handy atm). Richard Kingston, the wealthiest man in Dark City. ( for Cosmic) is a buisness man and the leader of one of the oldest satanic cults. He runs a cover religion called The New Light Order in wich he recruits members for the dark cult. Johns daughter who is a lost and troubled 22 year old joins the N.L.O John must rescue her. John who is a ex-communicated priest and a grizzled police detective knows about Richard and his satanic cult. He fights against him and his demons on the side . When fighting demons on earth they look like regular people. (If possible) When shot we replace blood spurts with fire spurts. When they die they turn into black smoke or something. When fighting in hell they look like demons and zombies. Just some quick thoughts before i go mow the lawn. So, when do we start the project? That gun with sawblades was awesome! I dont think that "bullets" with physics has been done in FPSC ever before, Is it only Me who are impressed of what ncmako is doing? Quote: "I don't think a scope is necessary for a shotgun"
Yes I agree. I did make one, but can easily remove it. Quote: "How about a flame thrower (dragons breath) mounted below the barrel and fueled with vials?" Interesting....yes Why not! Thinking I could use "flak" maybe for that? I'll have to research some. Quote: " You might want to go for a simpler mixed metal thing and some wood?" Yeah, the first texture I did all gold texture as in the pic and it was a bit too much. I toned it down for this. The scope is just for looks ( keep it or remove it?) Doing the animation tonight. Done soon. Quote: "When they die they turn into black smoke or something"
Yes! We have the perfect shader already for that. The character burnout shader form Bond1. I'll make a shorter & heavier barrel and see how it looks. Making the cross a cross-hair now. Im sorry if My gun didnt look so good. But it looks better with the sight, dont You think? Mr Love Thank you, I do like your mesh. It's nice and smooth. I might have to use yours? I saw that Constantine movie yesterday, and His first name was John(!) Are You really going to name Your hero "John" as well? Then it courld be taken for a fangame... And Yes, I nearly throw My gun away, but I still have it.. I courld make a silver looking magazine for it, that wourld give more contrast to it. And if You know any good texturer Who courld add some nice black ornaments on it, that wourld be awesome! I must say I really like Your crosshair! BTW What modeling program are You using? Mr Love Sweet, I love the magazine & texture. How many poly's is this? If you can, post the files and I'll rig it. ncmako. That ingenuity to make weapons you have, I do not know how he does, I like your work. So, when do we officially start? @ Mriganka I think we have slowly. Sort of waiting for a more complete story line. @ Mr Love Here's a quick video of your "cross" shotgun. Did a quick rig, added shell ejection. rigging to the hands. What did you use to unwrap it? It looks great ncmako! But perhaps the gun is to small in screen. Maybe You courld move it up a bit and make it a little bit bigger.. The shoot sound is too weak! Otherwise everything looks perfect!!! "What did You use to unwrap it"
Please tell me, what is the exact theme you want this game to be in. I can make a storyline, so that we can get things moving. I really wanted to make the story that I posted earlier, but I also have other ideas in mind. Can you please confirm the theme? @Mr Love Thank you for the newer texture, but something is different about it. It seems you've changed the mesh your working with slightly. The texture doesn't lineup as before. I'm going to have to adjust the UV map some. May have to go with old texture ??? @Mriganka Kind of waiting to see what xplosys has to offer/say? But nothing to stop you from starting a level. I have started with a simple intro for mine. Have created a lot of particle/light effects so far. So this won't be a story based game? Well, I guess You have seen this model in fragmotion and used the 2048x2048 texture in there? Everything looks perfect, so this can only be an .X-file problem.. Have You tried to destroy the .bin and .dbo files? What program did You export the .X-file from??? Very sorry for the lack of input, but once again real life has intervened. I'm afraid I'll be gone for a while to handle family afairs. I'll check back when I can and hopefully I can help with whatever theme or concept you settle on. Have fun. That's very understandable Xplosys. I too am sick and not available for a while. Hope to be better soon and back to help. @mriganka I hope this would be story driven? Hope you guys feel better. We'll be here when you get back. This has sparked my interest. Since GameGuru I have vanished from FPS and started the adventures of creating mobile apps. Has anyone thought of possibly doing regular weekly Skype meetings in order to keep everyone on track and up to speed?